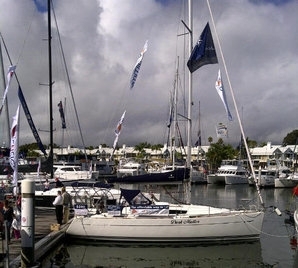 We’re gearing up to exhibit fat the Sanctuary Cove International Boat Show taking place on the Gold Coast May 24-27. This year our Moreton Bay Base and memberships on our Jeanneau 379, Matika V, will be the focus for visitors and as with previous years we have a very special Boat Show offer if you are keen to stop dreaming and start sailing now…. You can book your free trial sail online so you, your friends and family can experience the SailTime model first hand or call 1300 944 974 For more information.